the 4th graders spent the first half of the year learning how to read music. These songs are the culmination of their work. 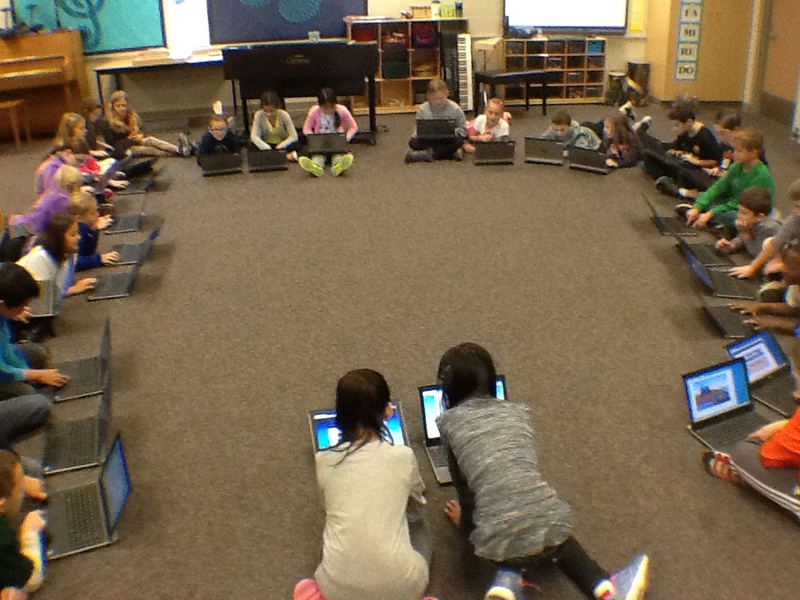 4th Grade using the laptops to practice the lines and spaces of the treble clef.